Motorcycle metal polishing isn't a thing of the past. There are still motorcycles that resemble the classic models. We have Harley Davidson to thank for that. Sales of chrome embellished bikes have never been higher. While those glistening bikes are awesome, they require a lot of specialized care. Top of the Line has been providing Airstream travel trailer and classic automotive enthusiasts with the finest metal polishing formulas for years. 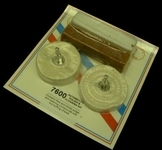 We now offer these highly specialized products to our motorcycle customers. Our Rolite aluminum polishing system will turn low luster aluminum into the brilliance of chrome. 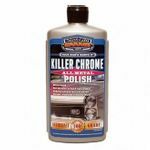 One Grand's chrome polish keeps its tough surface highly polished and free of rust nibs. 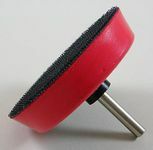 Check out our metal polishing tools and accessories. We know what it takes to reach a high level of perfection and have gathered the right tools to make it possible. 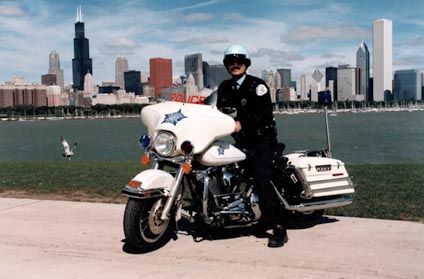 We wish to acknowledge the Chicago Police Department's Traffic Section and the beautiful photo of a motorcycle officer in Grant Park.